My friend Lindsey came to Nashville/Franklin for a short-notice trip recently, and I was so excited to see her! We talk on the phone and text/FB fairly often, but I hadn't seen her since our June trip to Las Vegas. It's weird to be so far away from her after both living in Savannah around the same time. We both had pretty packed schedules, but we managed to spend three days in a row together. We went to JJ's Wine Bar and Saffire the first night, enjoying a low-key but indulgent evening in Franklin. 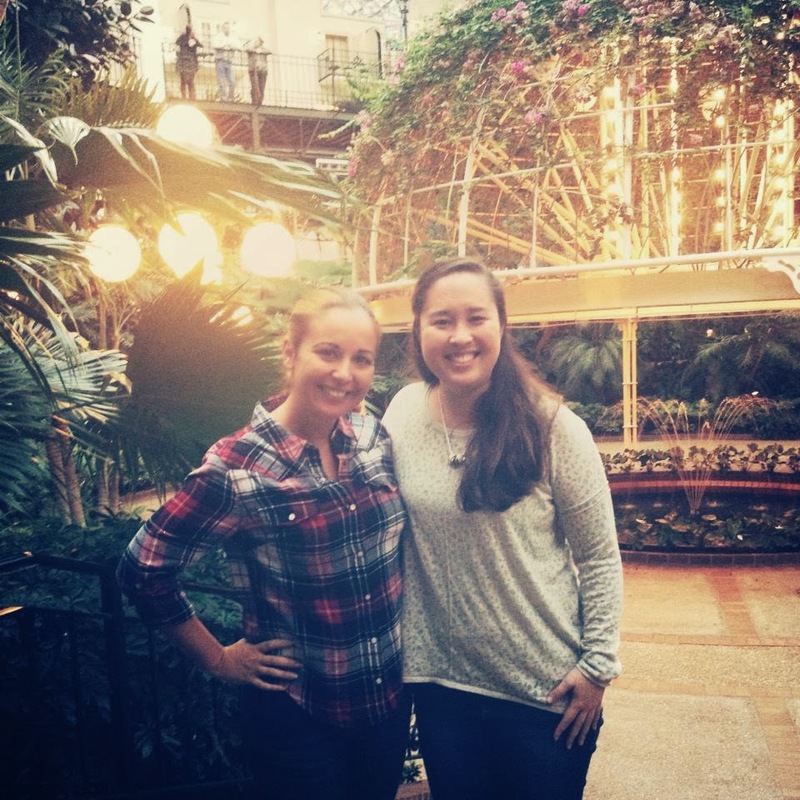 The next night, we had dinner at the Gaylord Opryland Resort (gorgeous indoor gardens/conservatories!) before going to the Luke Bryan concert at Bridgestone Arena. Then Sunday, we had a sunny day in Franklin with brunch at Puckett's and a walk around downtown. I have gotta admit, I have way more visitors since I moved to Tennessee than when I lived in Georgia... it's perfectly located in the middle of everything it seems! Even though I didn't get to spend the whole weekend with Linds, it felt so nice to feel like we were both living closer to each other, you know? It was a very fun weekend. Oh, and by the way, I rode my bike to and from downtown Franklin when we did brunch! It was my furthest ride solo to date, on the roads. Woohoo! P.S. Notice the polka dot shirt, H&M sweater, and dog sweater from August & September Budgeting Bloggers? :) I don't post a lot of outfits, but I'm getting great wear out of my pieces! 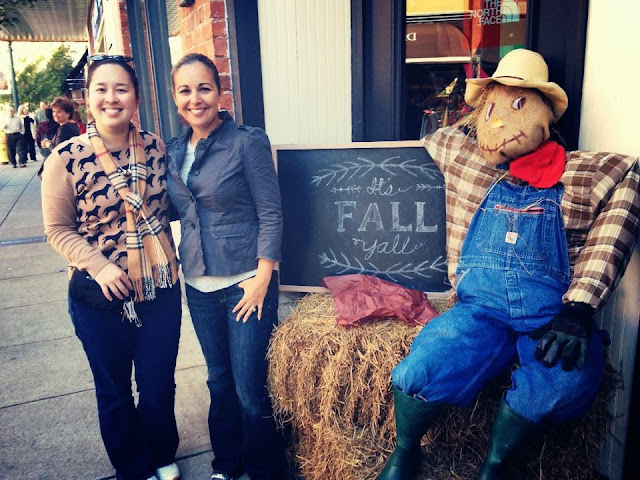 Fall in Franklin is the happiest time on earth! I love it!